This post continues the retelling of my recent time in Belize, excavating Mayan ruins and learning about jaguar conservation. Entering “Belize” in the search bar to the right will bring up the other posts in this series. I apologize for the lack of original photo, but in order to discourage looting I am forbidden from sharing pictures of any of the active excavations I saw. On May 30, 2017 I returned to Structure 130 for another day of field work. But today would be different, because I was going to learn how to open a new unit. For those who have not read this post, an archaeological unit is a rectangular area in which one digs. Each unit can consist of multiple lots, or levels. 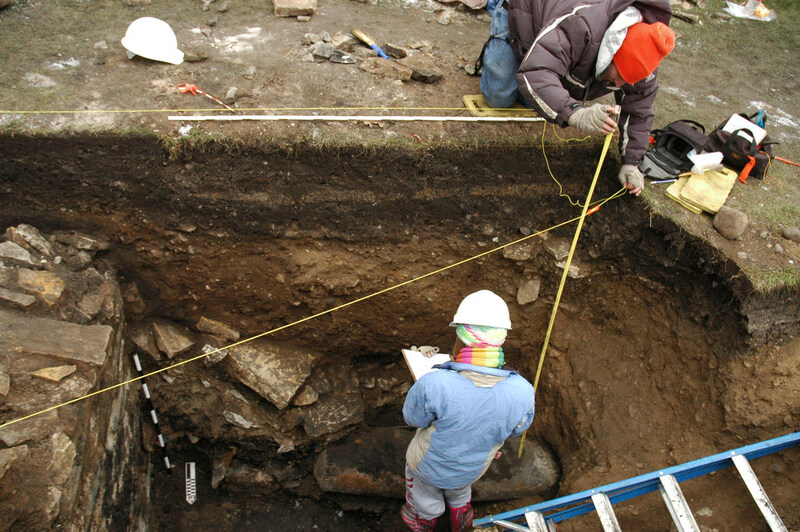 When one first begins excavating a unit, they are on Lot 1. When they reach a point of interest, such as a change in soil type, then they might close Lot 1 and open Lot 2. The process of opening both lots and units involves detailed measurements, as I was about to learn. To create a new unit, we required several items: tape measures, string, line levels, stakes, and a plumb bob. In this case, our goal was to extend a previous unit by one meter. Using two stakes from the old unit as our starting points, we formed a triangle with two tape measures. We crossed the tapes at the one meter mark, and placed a stake at their junction. We then measured one meter across from the new stake, and placed a second one. The next step was to make sure that all four stakes (the two new ones plus the two old ones) were exactly one meter apart. No part of this process was easy. First of all, we had to place line levels on the tape measures to make sure they remained level. But the slightest movement would cause them to fall off. Second, we were working on the side of a hill. This meant we had to raise and lower the ends of the tape measures to keep them level, which frequently resulted in them becoming twisted. Third, we had to move the stakes many times in order to attain perfect dimensions. However, we eventually succeeded. Now we had to take opening elevations. When opening a new unit, archaeologists record how far down it is from a datum point. The datum can be any object that serves to orient one’s measurements. In this case, we used a nail that was partially hammered into a tree. A string was tied to the exposed end of the nail, which we extended over our new unit to record elevations. We held the string perfectly level (as confirmed by a line level), and used a tape measure to see how many centimeters it was from the ground. We repeated this process at all four corners of the unit, as well as in the center. Naturally, this was more complicated than it sounds. We had to hold the tape measure perfectly straight, or our measurements would be off. So one of our team members took a string that had a plumb bob tied to it, and dangled it above the spot we wanted to measure. The tape measure was extended right beside the gravity-straightened string, to ensure the integrity of our data. All of this measuring was tedious, and I admit that I became frustrated at times. But in hindsight I realize how critical it was. 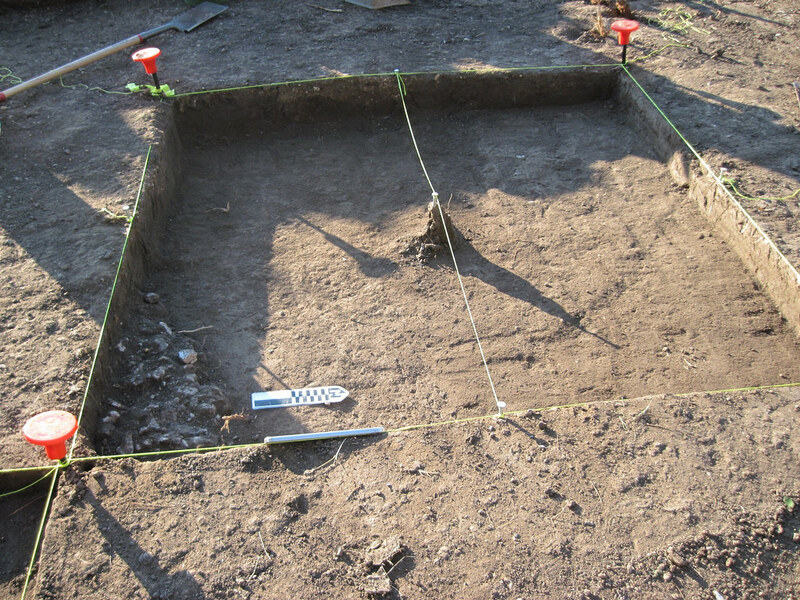 Being so precise allows archaeologists to describe their study sites exactly. Importantly, such attention to detail also separates archaeology from mere looting. The former pursuit is a science dedicated to understanding past civilizations, whereas the latter is simply plundering. 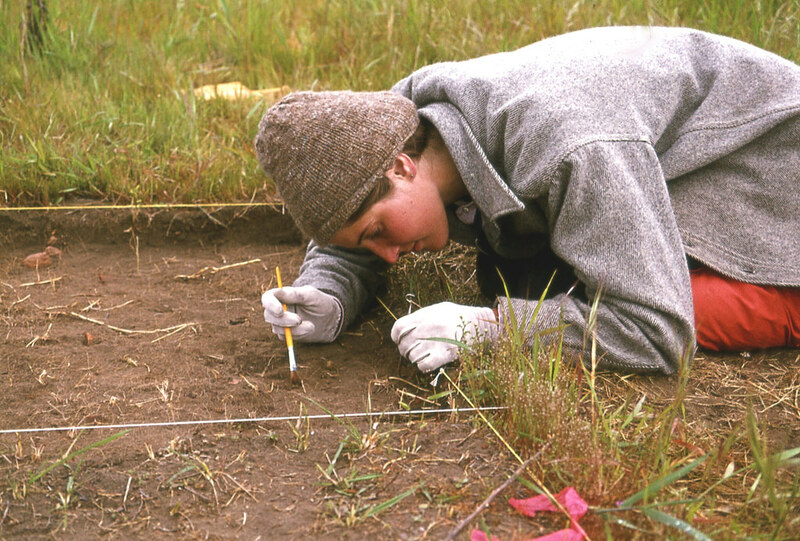 Spending hours in the dirt, taking painstaking measurements, allowed me to appreciate just how scientific archaeology was. Precision – tedious, but good discipline, and good results! and to be the one to find it…nice. Self-discipline is definitely helpful when performing this sort of work, as is patience. But yes, it’s all worth it. Poniéndome al día con tu blog abrí este post porque no le había puesto like, pero al segundo me di cuenta que ya lo había leido y hasta comentado.. Asi que te lo likeo ahora con atraso :P Y como me dio gracia, paso a contártelo así no me siento tan tonta jajaja. Hola Ani! Gracias por comentar en tantos de mis posts! Sé que hay posts de tú que ya no he leído, pero es un tiempo muy ocupado por mi. Les leeré cuando puedo! Thanks Gundappa! It was also quite interesting to learn, how archeology was done! Please send me your email ID GiJo I will send you pics from Lothal. Very cool to see how this is done. Did you know that in Colorado recently with the past two weeks, I think, they were excavating for a housing development and found dinosaur bones, so everything had to be halted! Once the archaeologists are done they can begin to resume work. I think I would have loved to have studied archaeology. I think I heard something about dinosaur bones being found recently, but I didn’t have any details. How exciting! Archaeology is a fascinating subject!